It is understandable to not give attention to every advice that comes your way about digitized embroidery designs. With hundreds of tips, tricks, and hacks, and dozens of experts writing and coaching on the subject, it is literally impossible to read and listen to everything, let alone grasping it and eventually implementing it. Of course, you should strive to get better- but not at the cost of your business. Most advice seems to undermine the actual worries of embroiderers, or at least most embroiderers. In many cases, they expect you to stretch an extra mile for something that has little worth in practical scenarios of commercial machine embroidery business. But not all of this is impractical. We will look into few minor details, that are neither expensive, nor very time consuming to implement. At the same time, we will also find out that how these seemingly trivial details, eventually contribute to give an exuberant outlook to the designs. Before we proceed any further, it should be made clear this piece is intended at the praise of minor stuff that we take for granted while working with digitized embroidery designs. Either, these small details are completely left out, or if done, they only get a half-hearted effort. As a result, you never quite get there. As an embroiderer what you must realize is that this minor stuff is what will make the difference between you and your competitors. A small detail, like salt in the meal, can grow on to become its defining characteristic. Honestly, you never know what exactly will make you win or lose a customer. An apparently unimportant detail, if neglected, can be detrimental. So, it is better to keep track of small things while embroidering digitized designs. Make sure that fabric, design, and supplies are correct. Also, check things like design placement and sequencing of threads. It might seem ‘ceremonial’ at first, but doing it a few times will make it a routine affair. It hardly takes few minutes to make sure that everything is in its place and you are good to proceed. These checks ensure a smooth stitching experience and save you in terms of production costs, time and of course, the frustration. But, they have little to do with the quality of finished embroidery designs. In following excerpts, we will look into small details that actually have a significant impact on the quality of embroidered designs. Creating or editing the artwork, laboriously digitizing it and then sewing it under the embroidery machine, is a tiring process. On top of that, if anything, anywhere, is misplaced, fixing it is exasperating. But just when you think you are done, there is more. embroidery designs must be trimmed after they are stitched. Some embroiderers think of it as unnecessary, but let me tell you that this extra effort and time is worth it. While trimming, remain careful about not coming too close to the embroidery. Keep trimmed area about half an inch away from the design. With light garments, trimming becomes even more important. Make sure to evenly cut stabilizer in case of lighter garments. Otherwise, the backing may show up through the garment. Similarly, trimming threads in congested areas is also instrumental for a clean and elegant outlook. Especially, clear fringing threads between lettering. All this does not require additional money, and with practice, it hardly takes more than a couple of minutes. But, what you get? A flawless embroidery design. After finishing the digitized embroidery design, remove topping with care so it does not leave any marks. In case of water-soluble topping, firstly remove as much as you can with your bare hands. Once done, now remove the leftovers with a damp cloth. Make sure that water is not too hot. Hot water can absorb color and leave the color residue. Similarly, the cloth used should be color-neutral. Some embroiderers spray water over the topping to remove it. Doing so can leave water marks on the fabric. Even if you want to stick with spraying the water on the garment, make sure to dry it out before folding and packing it. Unboxing the order, and seeing stains all over will upset and infuriate any customer, let alone a sensitive one. Don’t let laziness and negligence get in the way of your business and hard-earned customers. Removing hoops marks is not really difficult. The easiest fix is to use magic sizing. It is quick and easily readily available on every grocery store. Apply it on the areas that are affected by hoop marks. The marks will disappear in next few seconds. Moreover, drying is also pretty quick that will not take more than a few minutes. It only requires few minutes in total and here you have your competitive edge. If you can have an edge this easy, why not have it? Still, most embroiderers will not do it. Don’t be one of them and remember that sweating small stuff while embroidering digitized embroidery designs, does pay off. You might not notice, but when a customer opens up their orders, they do make a note of small things. 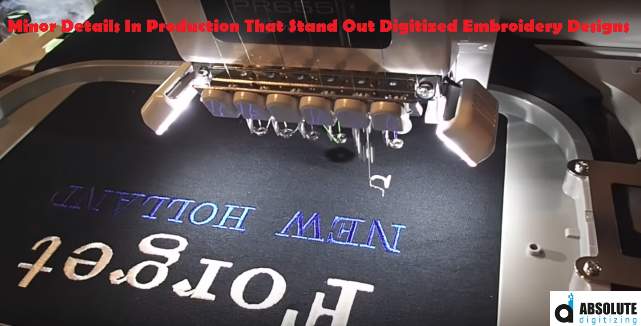 Even if it is only at a subconscious level, professionally embroidered digitized embroidery designs and neatly packed orders trigger likeliness, admiration, and reputation for your business. 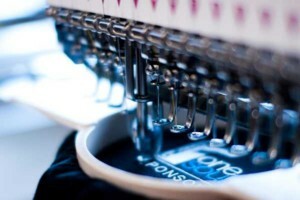 Consider these small details as quality control measures of your embroidery business. All this might seem like too much, but it’s not. Make a checklist of small things that you tend to forget and it will gradually become a routine. Instead of whining, reflect on the benefits and returns, and you will find yourself motivated. 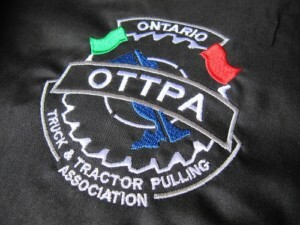 Moreover, digitizing embroidery designs is an important part of the whole procedure. Like production, there are small things in digitizing, that can make the difference. 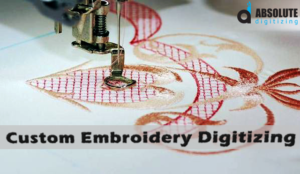 Instead of risking your orders, why not let professionals take care of digitized embroidery designs? At Absolute Digitizing, get designs digitized professionally for only $1/1000 stitches. If you need superior quality custom digitized designs done in cheapest prices and that too with in next few hours, get a quote now.